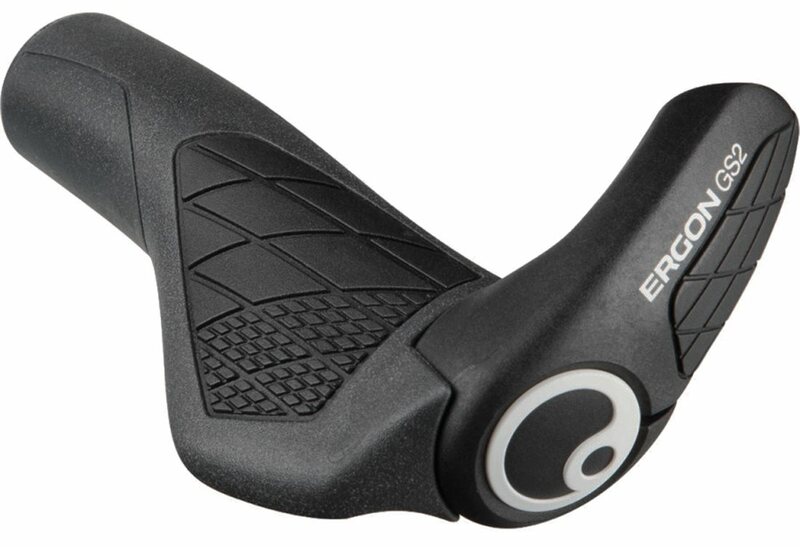 The Ergon GS2 uses the grip body of the GS2 Carbon, the GS2 adds innovative CFK 3 finger bar end. The bar end doubles as a clamp allowing both the grip and bar end to be adjusted independently. prepping for a 300+ mile / 3 day ride and want multiple hand position options. Never thought the wide "palm" area was appealing. But on a training ride of 100 miles with a full load of gear, hands were not a problem. Bar ends are cool again! Arrived quicker than expected and Jenson priced matched for me. Great company! Very comfortable grip...Really helps with finger numbness. Great grip. Way pricey, but if you are have numbing, they are worth it. There is only a very narrow range (of rotation around the bar) where they are comfortable, but once you get them there they are great. I used to numb up up and stay there at about the twenty minute mark. Now I can go more than an hour before I start to numb, and then a shake out of the hands cures it for another 30 - 40 minutes. Expensive, but they are worth it, if you are numbing. 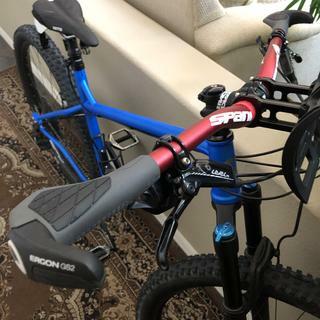 this is my second set of Ergon grips. This is a great upgrade to a new bicycle. The small bar end is a welcome additional position and is minimal so it doesn't get caught on things. The wing on the grip significantly reduces pressure points on hand. the Ergon GS2 Are the real deal! 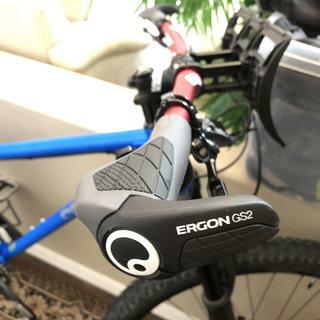 Got the Ergon GS2 for my new bike specifically for planned bikepacking trip. Been using them for almost a month and they are awesome, comfortable, great size, feel and takes some of that long ride impact. Happy happy ?? !